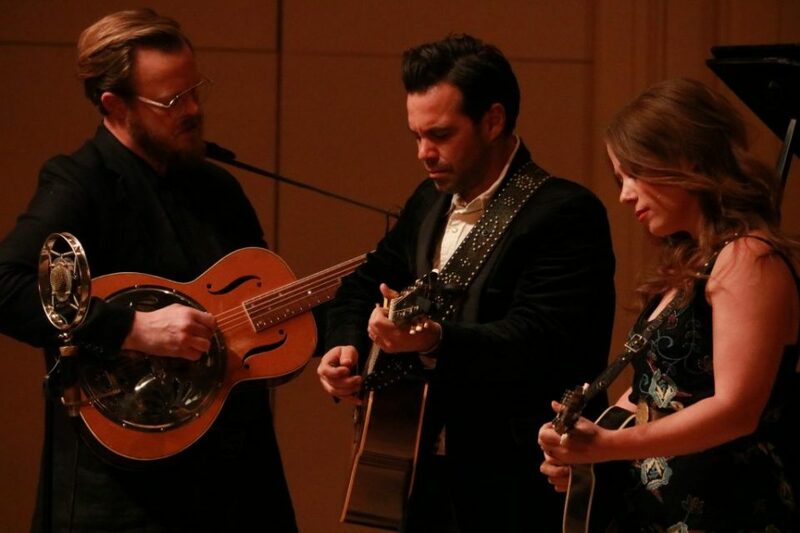 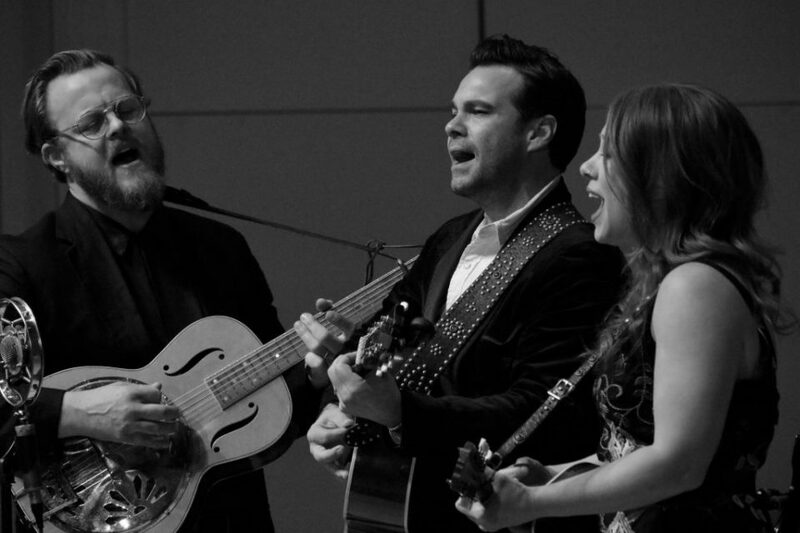 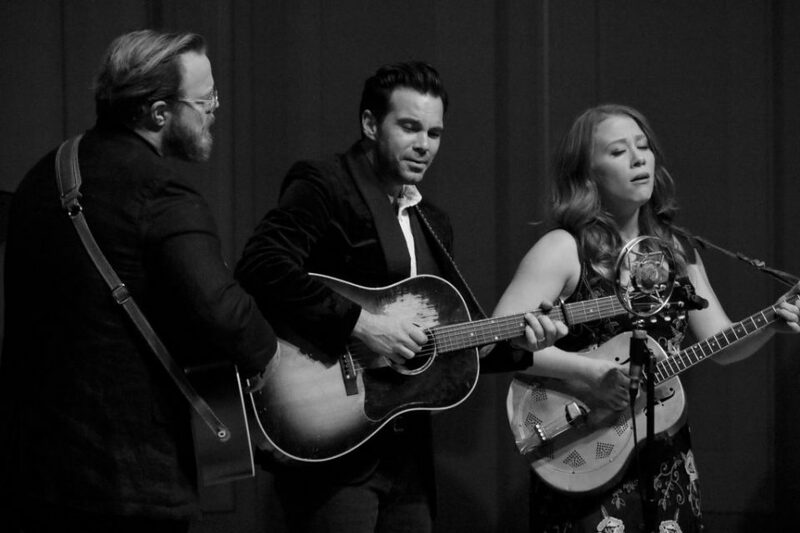 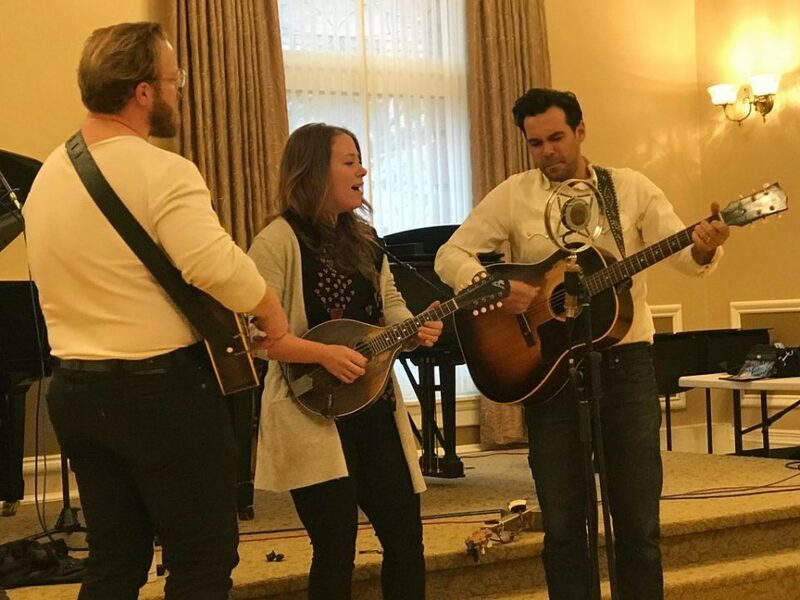 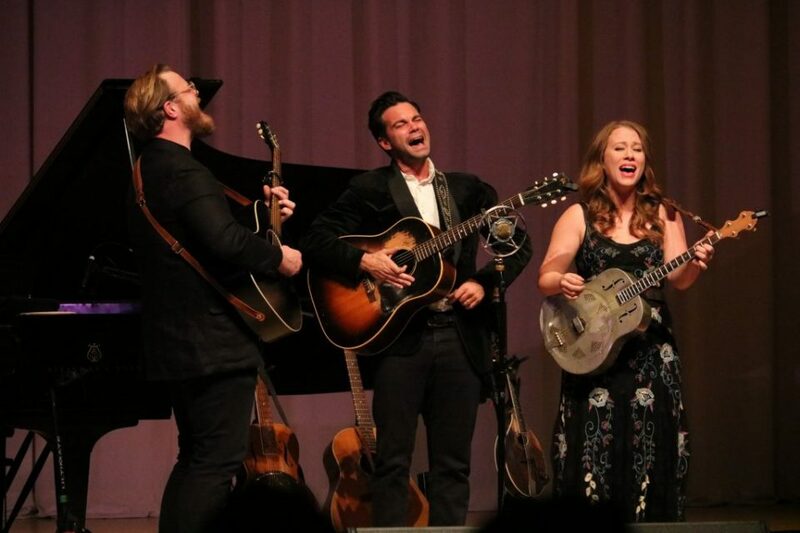 Stunning vocals and well-crafted songs were on display as The Lone Bellow, performing as a trio, mesmerized a capacity crowd at St. Cecilia Music Center. 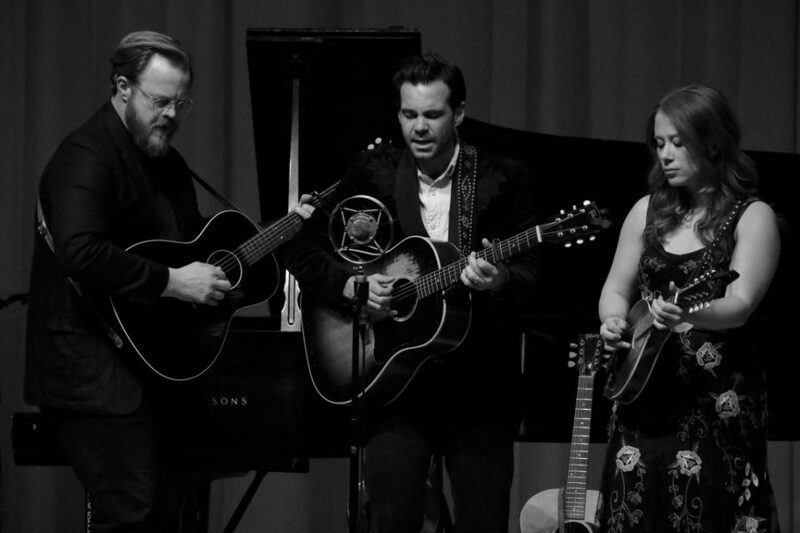 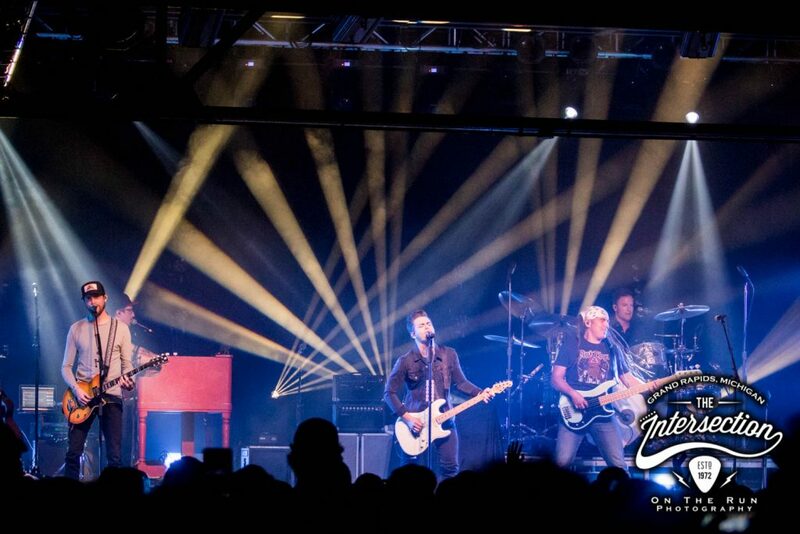 Review, photo gallery. 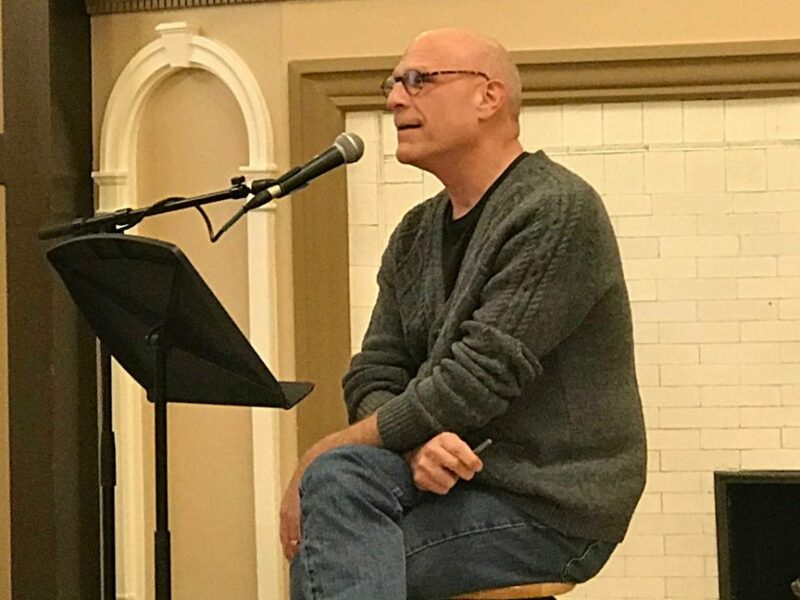 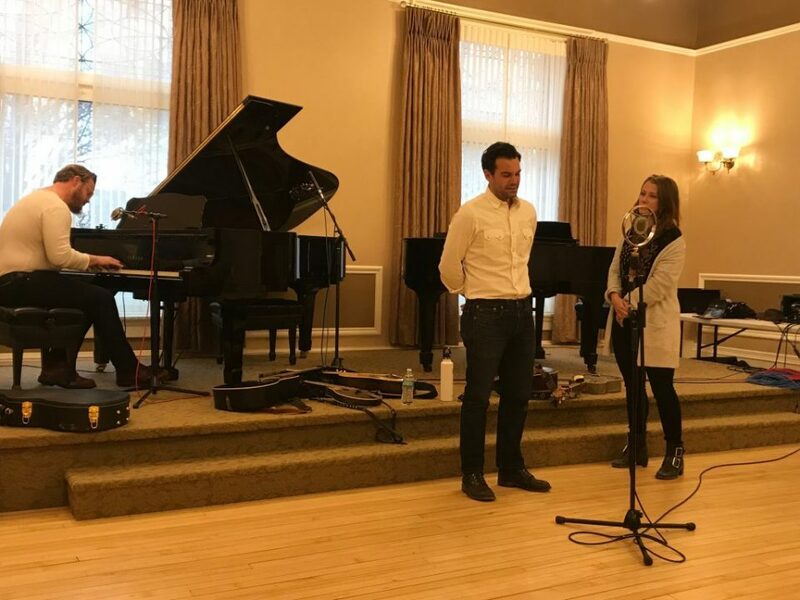 There really is something transcendentally powerful and magical about human voices joining in perfect harmony – an almost other-worldly experience for the performers and listeners. 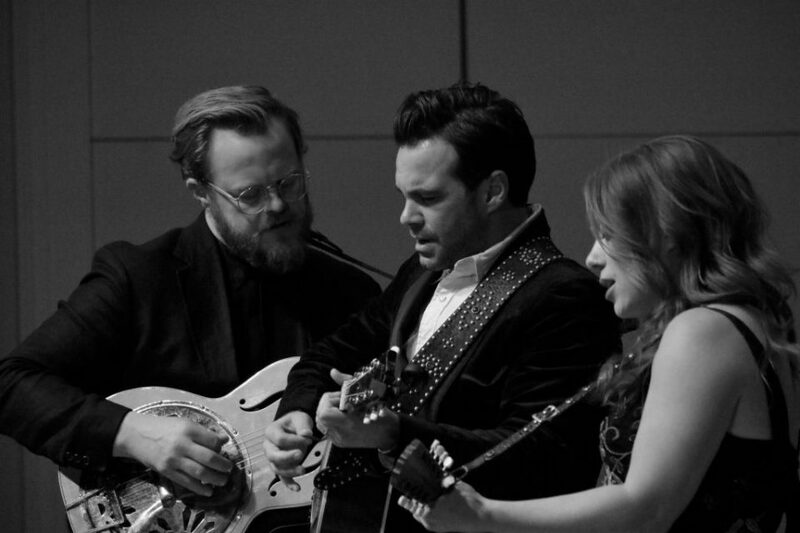 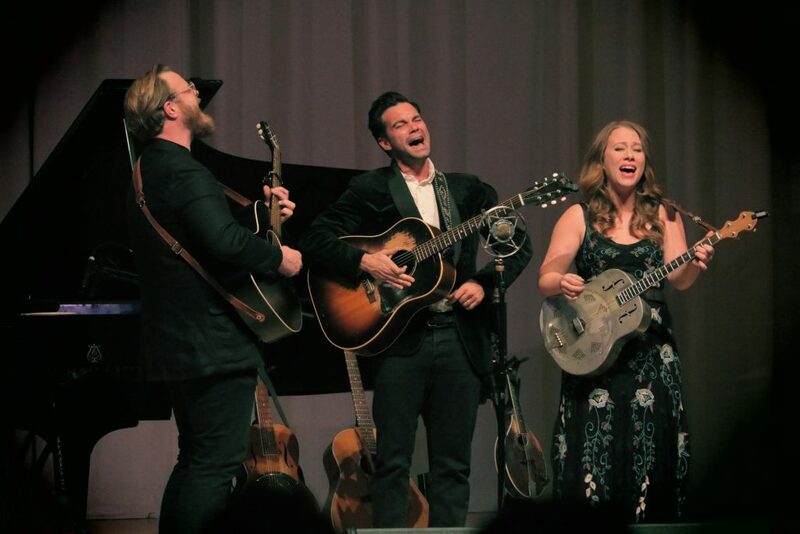 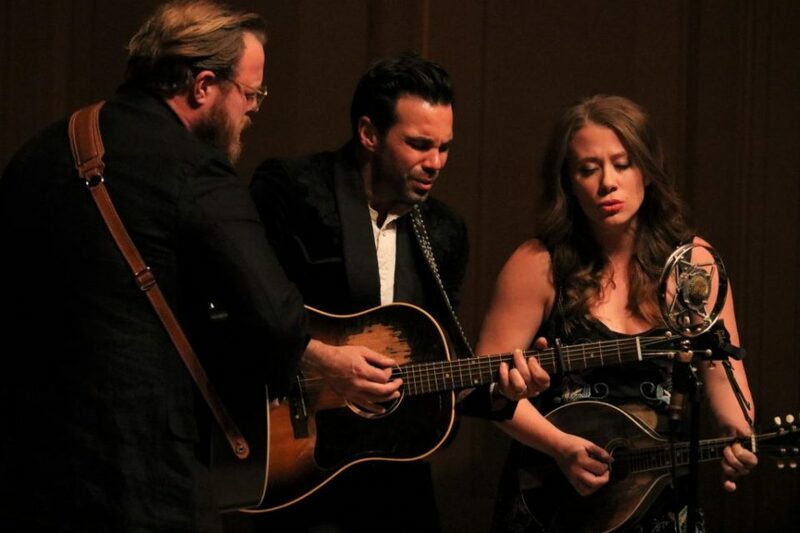 The Lone Bellow unfurls those moments routinely and poignantly, and with greater emphasis than ever as part of the band’s current “Acoustic Triiio Tour” that made a sold-out stop at Grand Rapids’ St. Cecilia Music Center on Thursday night. 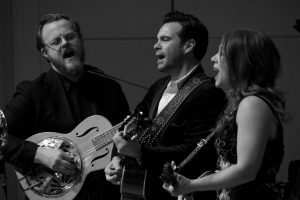 To say the audience at Royce Auditorium was completely smitten by those harmonies may be an understatement considering the ovations and smiles that peppered the evening of music by the trio that just released a new EP, “Restless,” which features new songs, covers and reworked versions of older tunes. 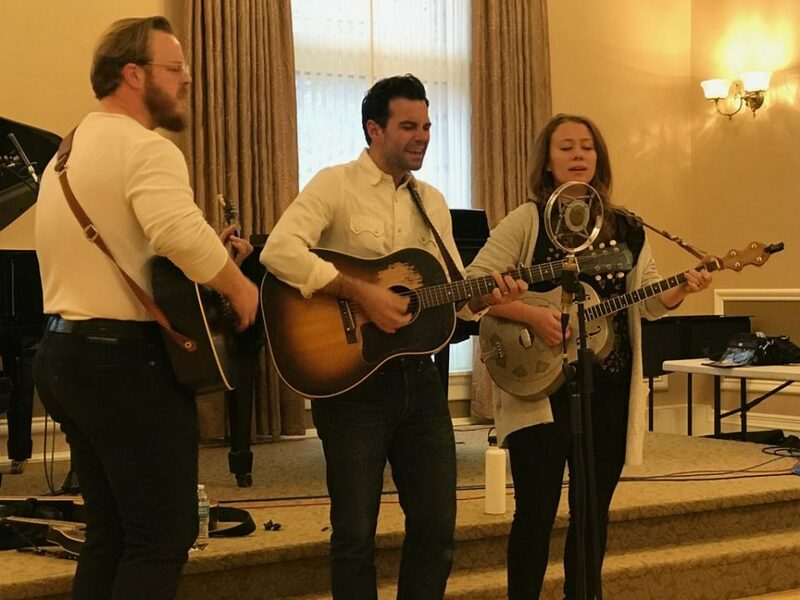 On top of that, Zach Williams, Kanene Donehey Pipkin and Brian Elmquist turned the latest entry in St. Cecilia’s Acoustic Café folk series into a laugh-filled, improvisational, living-room party of sorts, dotted with impromptu covers of artists such as Edwin McCain (“I’ll Be”), goofy posturing and plenty of jocular banter and ribbing. 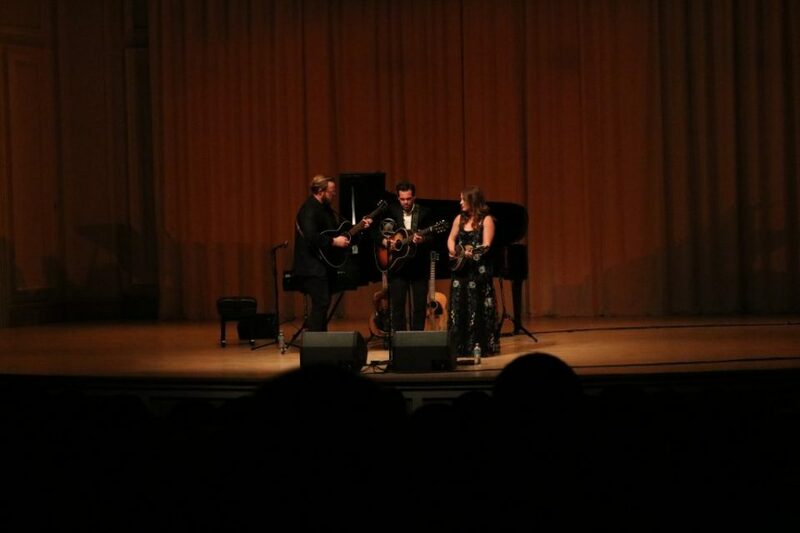 They even turned mistakes into triumphs: Elmquist’s flubbed start to “Watch Over Us” on a grand piano led to a rollicking interchange of jokes and witticisms, with the trio eventually delivering a stirring rendition of the tune in all its vocal glory where even their humming was done artfully, perfectly. 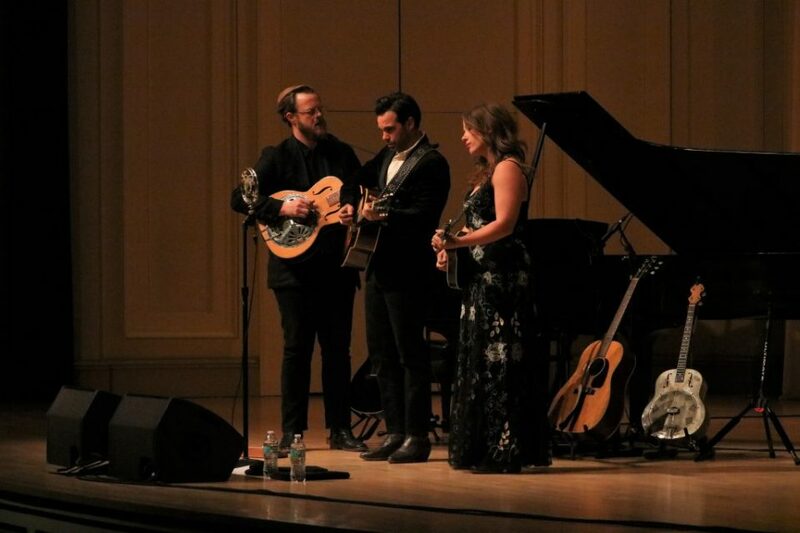 But mostly, this 90-minute, acoustically pleasing concert – certainly one of the most outstanding entries in a series that’s now into its fifth season – was about showcasing well-crafted songs and stunning voices huddled around a single microphone, enhanced only by acoustic and resonator guitars, a mandolin, piano and occasional foot stomps. 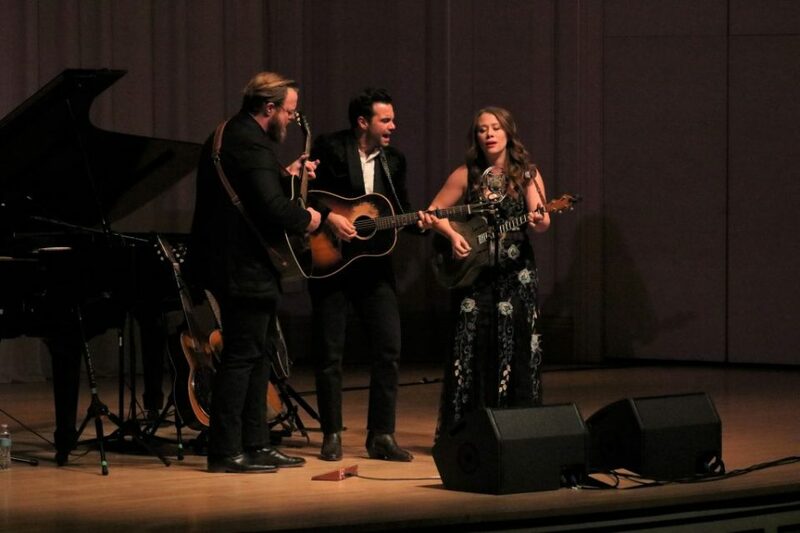 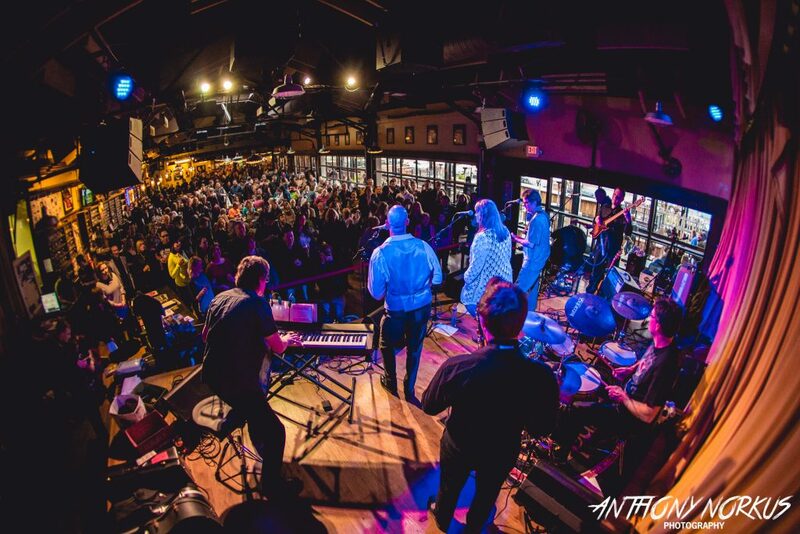 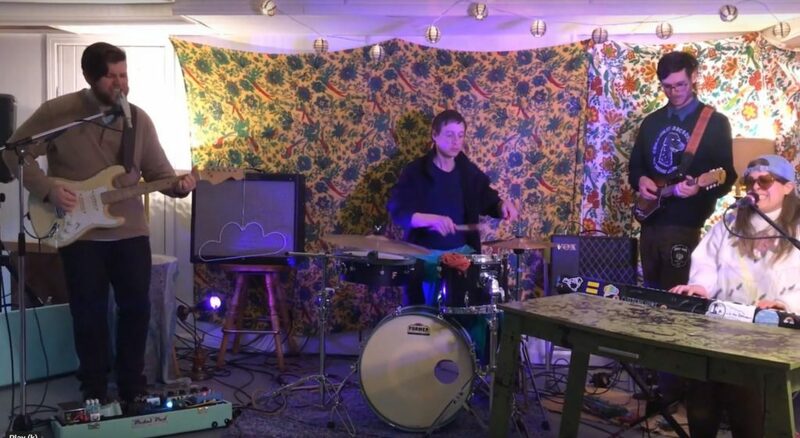 Earlier in the day – during the taping of Rob Reinhart’s “Acoustic Café” radio show in the cozy Wege Recital Hall – members of the band revealed they’ve worked at “doing something more simple” since working on 2017’s “Walk Into a Storm” with Nashville producer Dave Cobb. 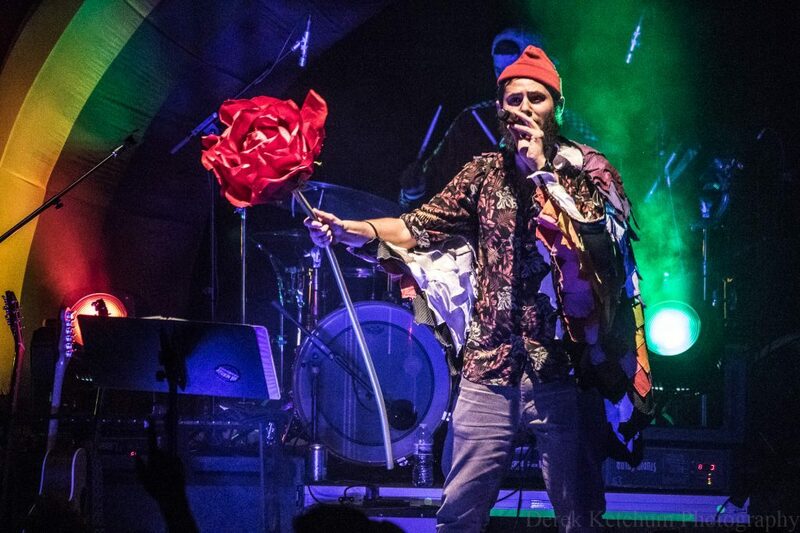 “Keep it coming,” a fan yelled out at one point early in the show, and the trio was happy to oblige – with passion, humor and emotion poured out in raw but exquisite, precise fashion. 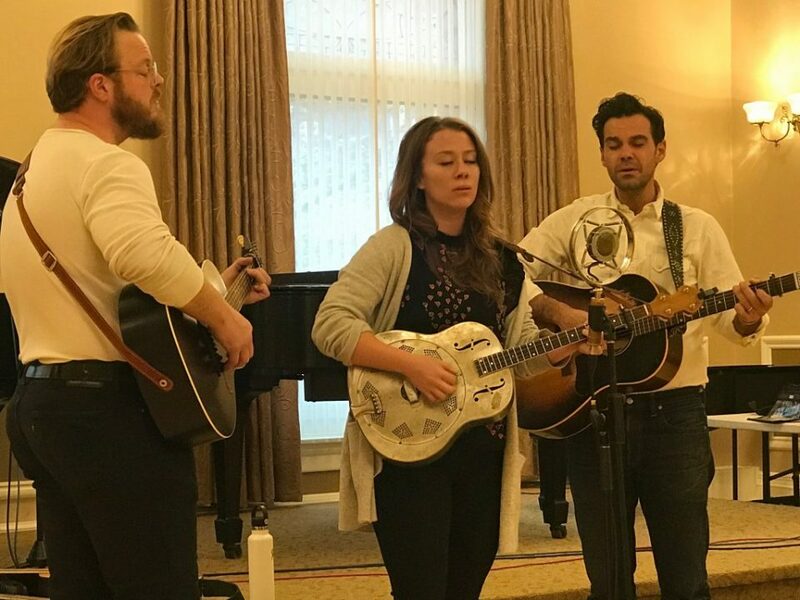 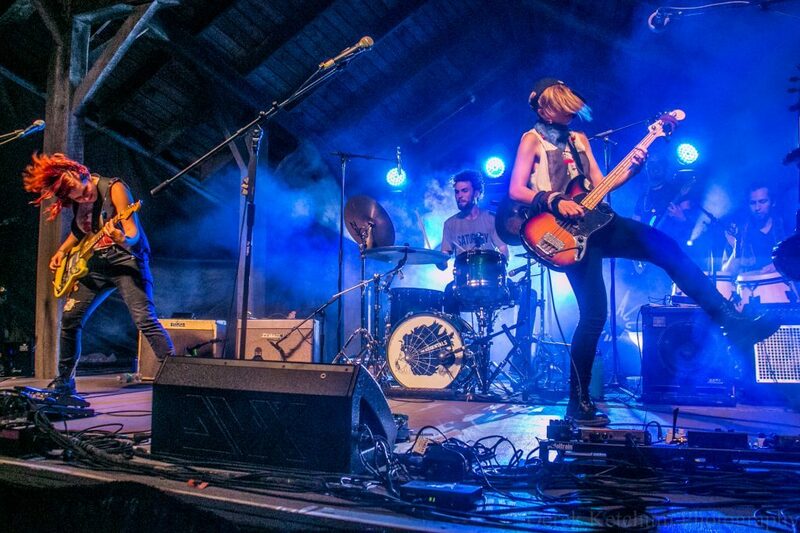 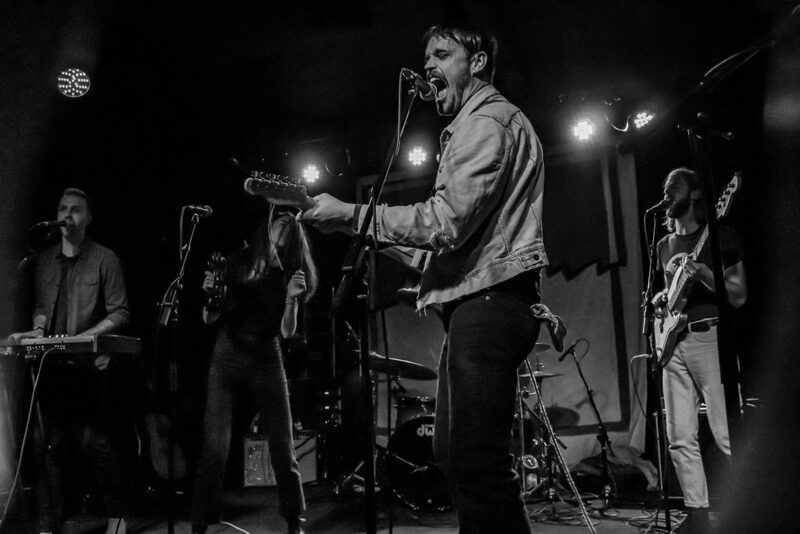 They even did it on covers of “Pink Rabbits” (The National) and “For What It’s Worth” (Buffalo Springfield), with the latter sparking an audience sing-along and proving the band could make a powerful political statement without getting political. 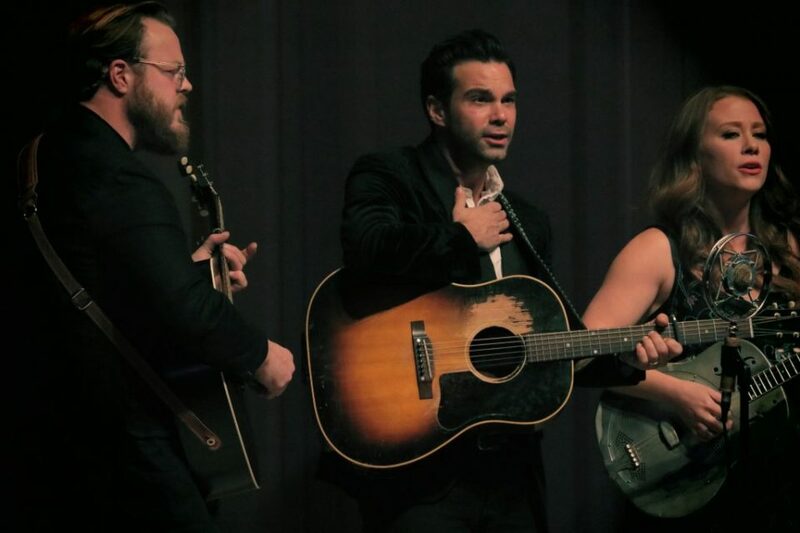 By the time the trio closed out its encore with a rousing rendition of “Green Eyes and a Heart of Gold,” this acoustic, pared-back version of the group had given its Grand Rapids audience more of The Lone Bellow than they ever might have experienced with a full backing band.